2011 has witnessed the roll-out of no fewer than ten EV and plug-in hybrid (PHEV) models from Nissan, GM, Ford, BMW, Mitsubishi, and more. Since then, the list of vehicles at the pilot and concept stage continues to grow, so does the number of EV/PHEV owners. 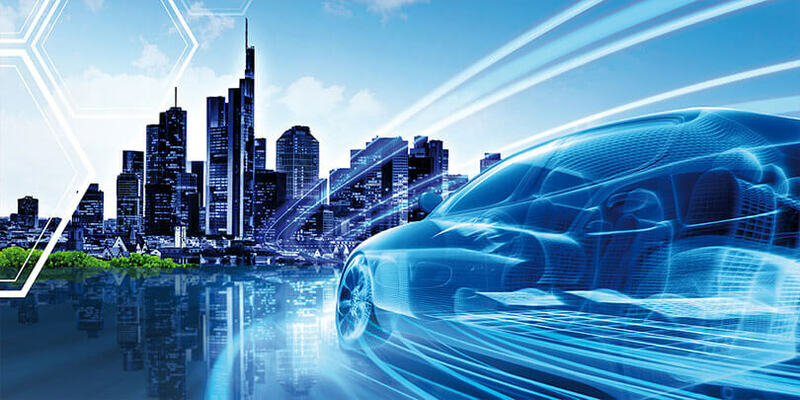 Although many aspects of EV/PHEV ownership and how they fit into our American ideal of personal mobility continue to evolve, there's little doubt that the transportation industry is on the verge of redefining itself. While all drivers of gas-powered cars today rely on franchise gas stations in the city and on the highway, most EV drivers will use the home garage as their primary 'refueling' stop. EV drivers, at least in the early years of adoption, will look for opportunistic charging prospects while driving their EVs as opposed to making a special trip to a refueling station. These opportunistic pit stops may come in the form of a shopping trip, a meal at a restaurant, a coffee break, or at work - locations managed or owned by developers, business owners, and property managers like you. Just as grocery stores are famously patronized by residents who live nearby, big-box stores, malls, and even restaurants may gain a competitive advantage by offering practical value to their patrons. As EV adoption increases, drivers may elect to shop where they can also refuel their EVs - so they can attend to two chores in one location. Longer dwell time at a retail location may even translate to an increase in sales. Employers looking into the benefits of EV charging stations for their employees will similarly build competitive advantage by attracting clean-driving candidates. Many of our EV charging stations can offer branding, advertising, and cross-promotional opportunities - sometimes visibly tied to the station's user interface. Marketing opportunities include in-store cross-promotions, general branding and awareness building, and third-party advertising, such as in-store supplier discounts. For a relatively nominal cost per store or site, a corporation - be it a retailer, QSR chain, or employer - can strengthen its branding and public goodwill by incorporating clean transportation into their infrastructure and building on their long-term sustainability objectives. The pay off for retailers, malls, and retail developers is consumer "linger factor" - which can in turn lead to an increase in dollars spent per EV driver. Employers and owners of corporate parks can similarly build loyalty and offer value to EV-driving employees. EV chargers can, quite literally, drive traffic to your business and set you apart from your competition. For customers who own an EV or PHEV, the convenience of "opportunity charging" while they shop, play, or conduct business is an attractive lure when your competition doesn't have it - especially for those without convenient access to home charging. Customers waiting for their vehicles to charge are more likely to linger at your business, potentially increasing sales. The pervasiveness of convenience services like banking, photo processing, prescription filling, and other "add ons" in highly competitive big box, grocery and drug stores is an obvious testament to the allure of "getting it all done in one place." EV charging will play a similar role in building brand loyalty for retail businesses as well as for business parks, office buildings, parking garages, restaurants, and other recreational facilities. Even when viewed purely as a PR play, installing charging stations for advanced electric vehicles sends a strong message to the buying public. The presence of an EV charging station in the parking lot or garage brings an added cache of value and customer service to your business. It's also sure to generate interest among customers considering joining the "Electric Club," a club whose members no longer make expensive trips to the gas station - and whose members will remember your brand as a convenient charging stop and a corporation that's on the forefront of the clean transportation revolution. Today's EVs are standardized by the Society of Automotive Engineers (SAE), the governing body of automotive engineering; all EVs adhering to the standard will be able to take advantage of your parking-lot charging stations. Sophisticated charging stations are much more than "extension cords." Intelligent communications systems are built into all Webasto charging stations; these communication systems interact with the car's on-board computer to ensure a safe and complete charge. Many Webasto charging station models have tamper-resistant features, including a retracting, lockable charging cord. EV public charging with standardized and UL-listed charging stations is designed to be as safe and reliable as using a household appliance. Adding EV charging infrastructure to new construction projects is highly likely to be less costly than retrofits - consider EVs in your blueprints for maximum efficienies. If you'd like to learn more about your EV charging options for your business and about how to get started, please contact us via email or call us at 800.524.6373.